Hi everyone, long time no post! 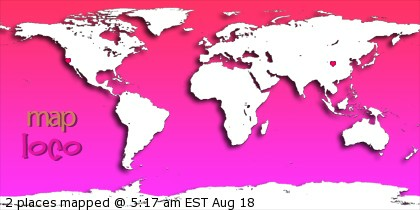 I was real busy and out of town for the past two weekends, so I couldn't write anything. 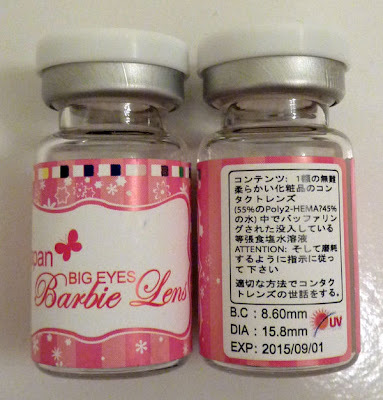 Anyway, here is my review for Japan Big Eye Barbie/Pop. 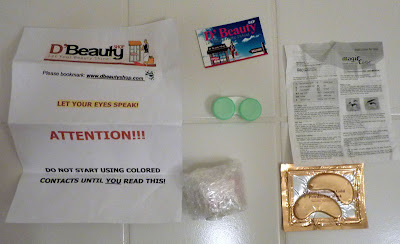 C Dark Blue circle lenses, sponsored by D'Beauty Shop. 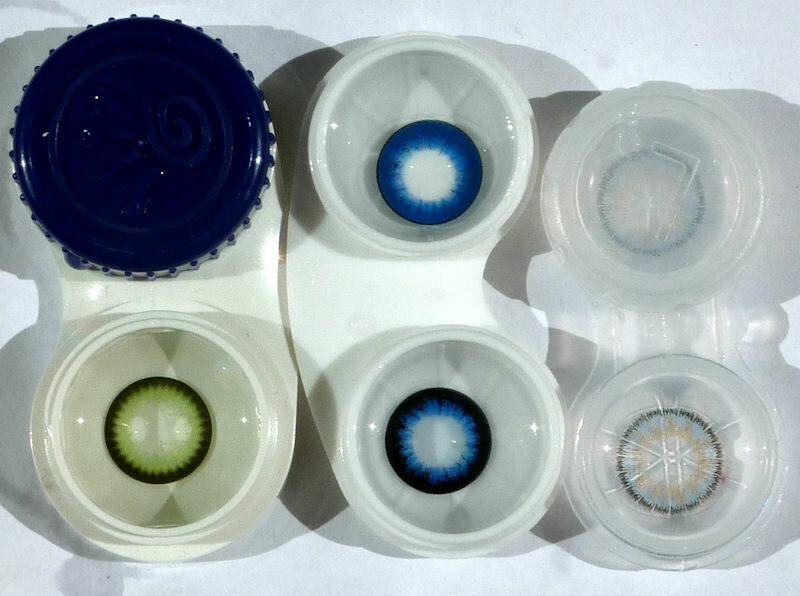 When I look at my inventory, I am kind of surprised that I don't have many blue lenses even though they are one of the more "natural" eye colors besides brown and grey. 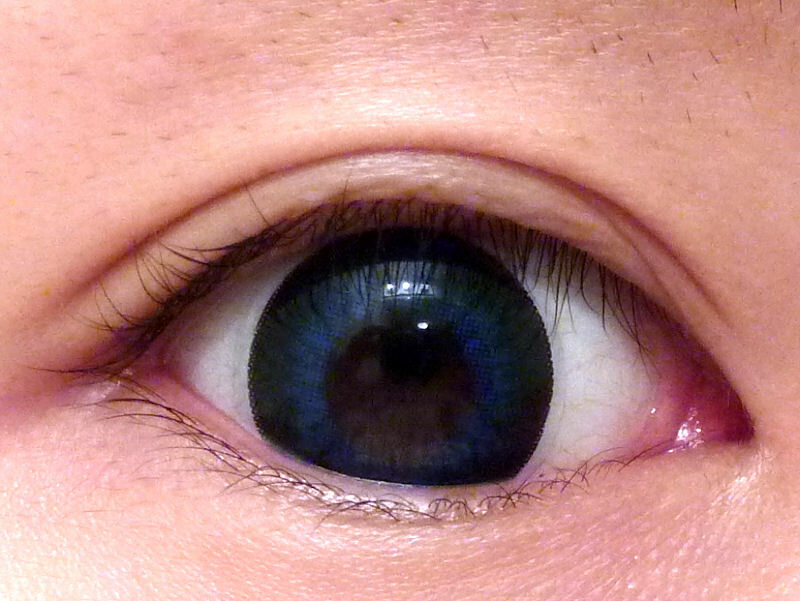 I have one pair of Neo Cosmos Glamor Blue, which are a lighter blue, so I decided to try out a pair of dark blue lenses. The info sheet was a very nice touch, and I am curious about the eye masks since I have never used them before. 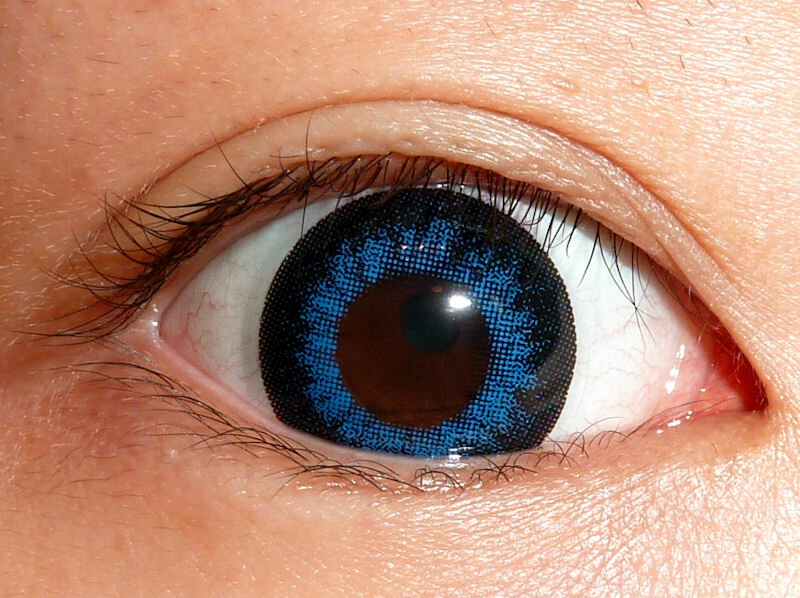 The diameter for the lenses are 15.8mm (flat measurements I think), so they are pretty big. 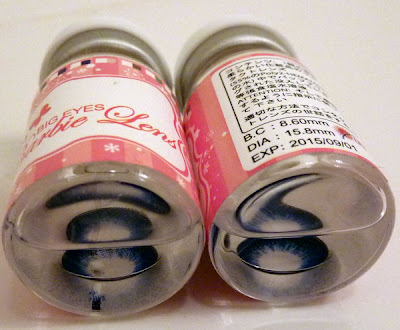 The lenses are very densely pigmented and the blue is a very rich, true blue both in the case and on my eyes. I think they almost look a bit electric in certain lighting, which is awesome. One small nitpick is how abrupt the pixels stop at the middle around the pupil; in dark light situations I can see a blue halo around my vision, but it is not as bad as the Dolly Eye Browns. Here are all the lenses that I wore in this review. The top lens in the middle is the Pop. C Dark Blue turned upside down, and the bottom is the same lens right way up. Enlargement: 9/10 - These are enlarging without making me look like an alien. Comfort: 7/10 - When I first wore these, they feel thick and slightly annoying, but after a while they are fine. TOTAL: 8/10 - These lenses will make your eyes pop without being freaky, and the flash of blue in the middle is very pretty. Once again, thank you D'Beauty Shop for sponsoring these lenses! 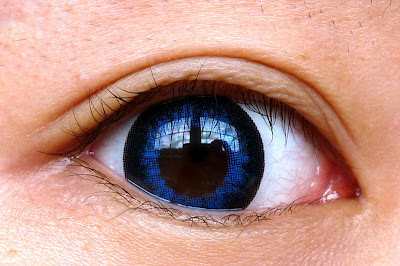 Ushishi: There are contacts call Sclera Lens that are >22mm, covering your whole eye, so yes, 16mm lenses are totally possible. In fact, I think the Barbie Big Eye Super Nudy series are 16mm already! are those bigger/smaller compared to the EOS MAX PURE GRAYS?